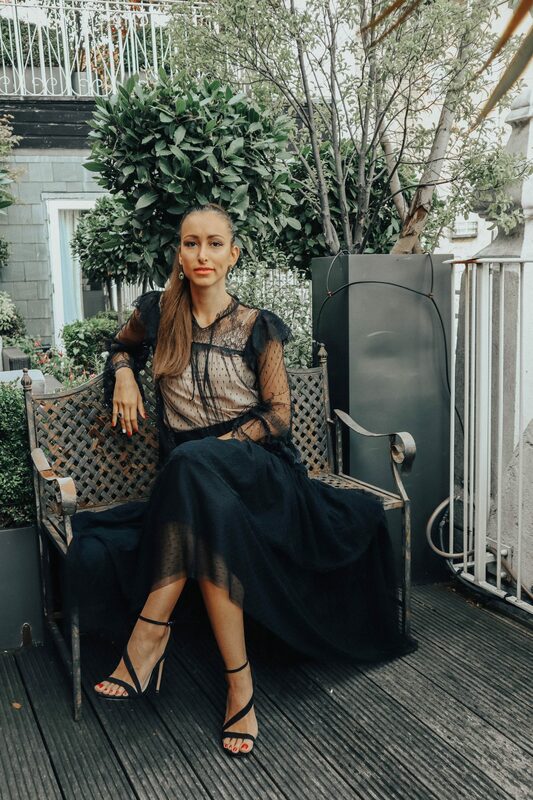 I am finally back on the blog after London fashion week and will be posting everything about my trip to London this week. 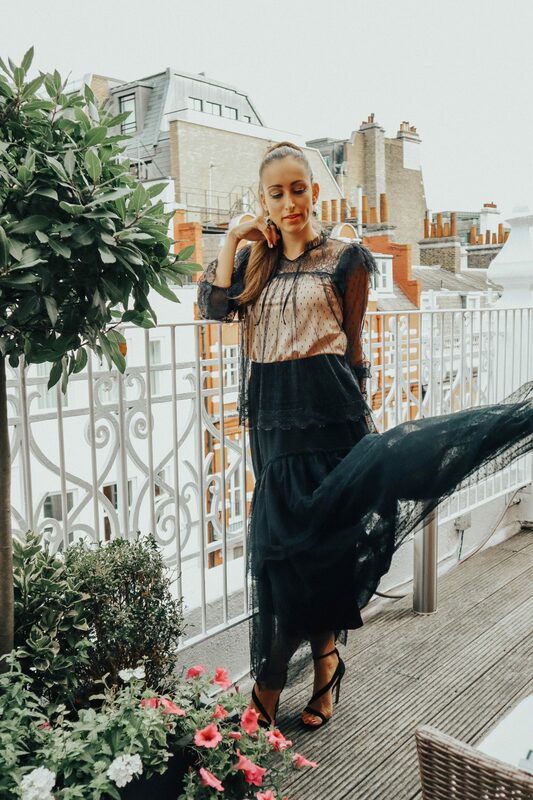 I am sure you have seen in my story that during the first few nights of London Fashion Week I was staying at St James´s Hotel & Club in Mayfair. So today I will share with you more info & pics from my stay. 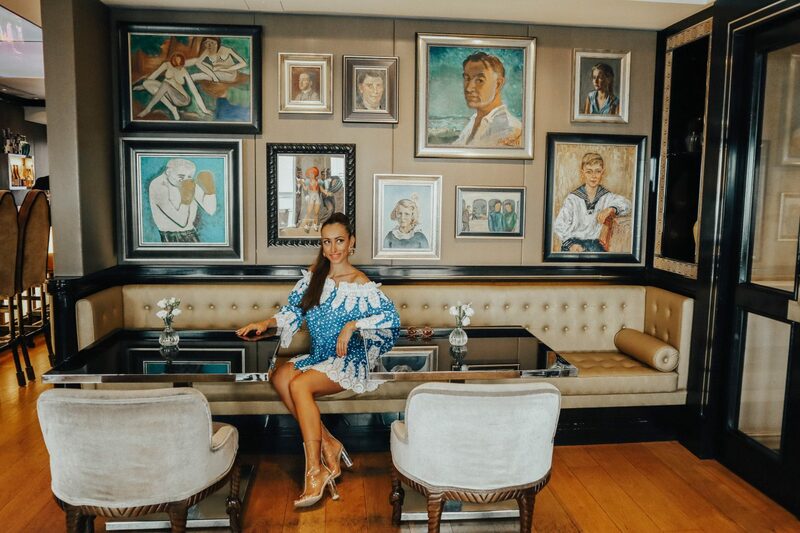 St James´s Hotel & Club is a 5-star boutique hotel in Mayfair (one of the most central areas of London, and certainly my favourite), which is just a few minutes walking from Buckingham Palace and Hyde Park and a short stroll from the theatres and nightlife of the West End. 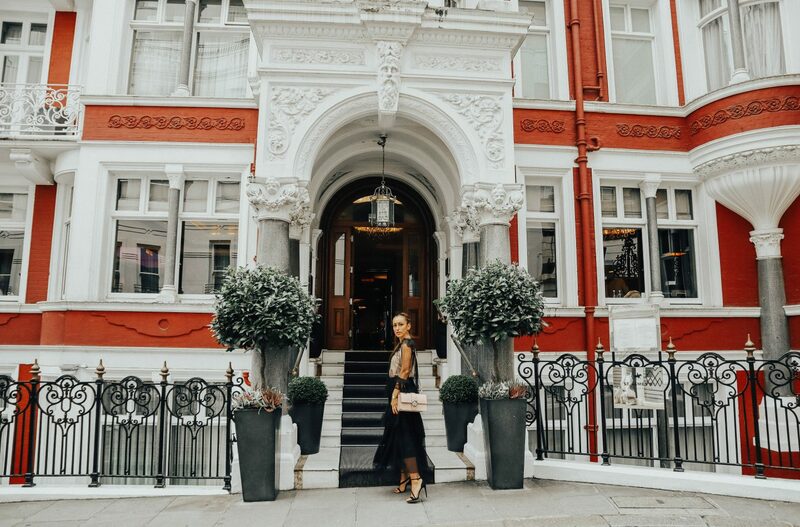 Despite being situated in one of the busiest central London parts, the hotel is extremely quiet as it is tucked away in a quiet cul-de-sac. 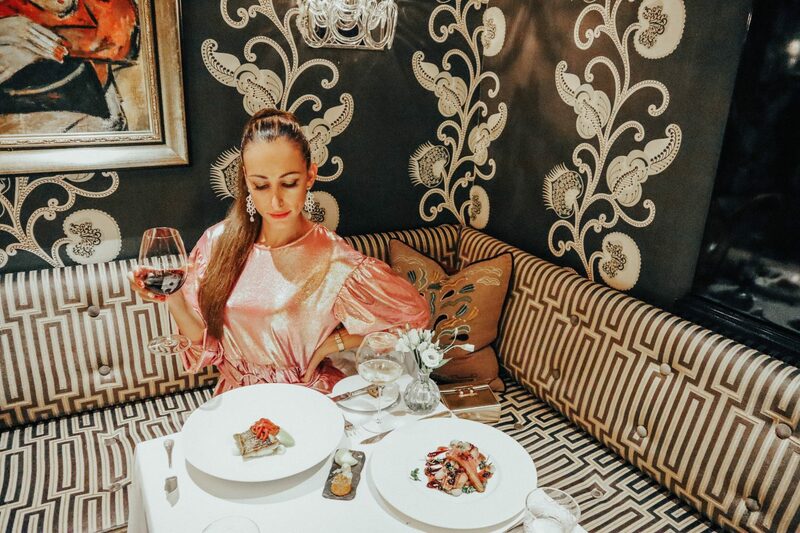 As you will see from the photos below, St James´s is a luxury boutique style hotel, which is one of a kind, as it offers the intimacy of a private club combined with 5-star service. 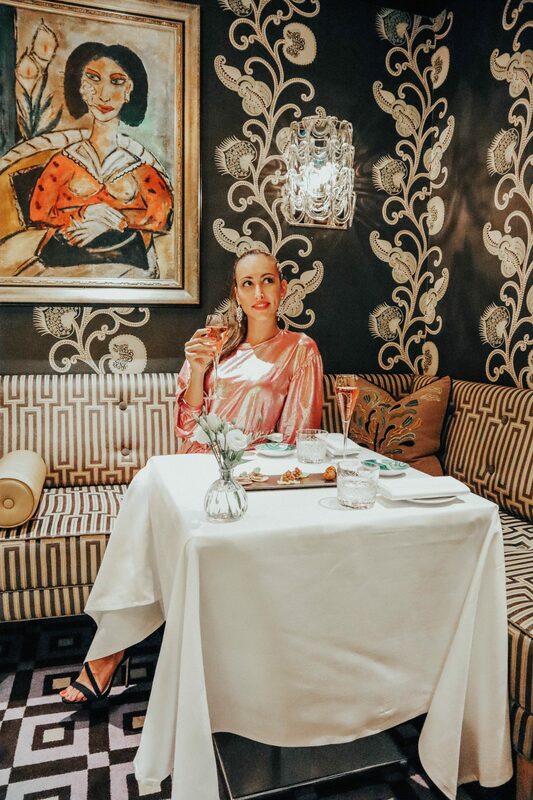 The club dates back to 1857, and despite the decor changes it has maintained the traditions of service, comfort and hospitality. 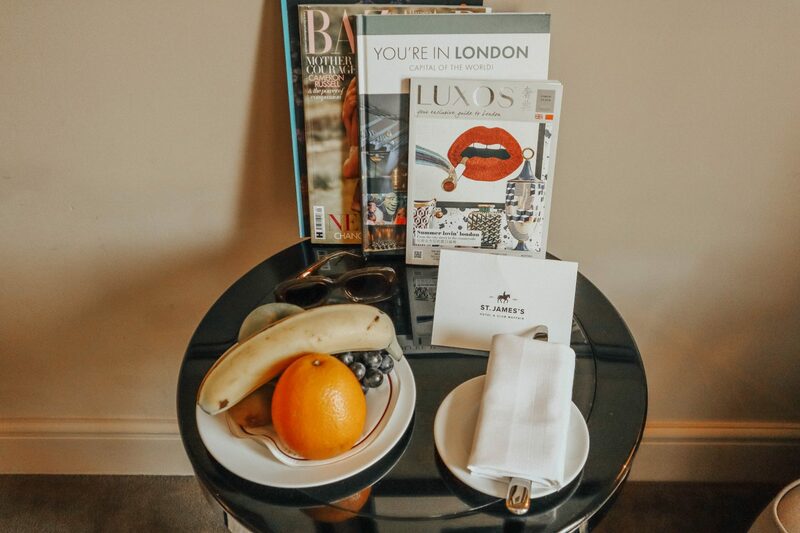 St James´s Hotel was absolutely ideal for us during London Fashion Week, as it was situated very close to most show venues! Also, the quiet cul-de-sac where the hotel is located gave us the so needed relaxation and comfort after a busy day at shows and events! 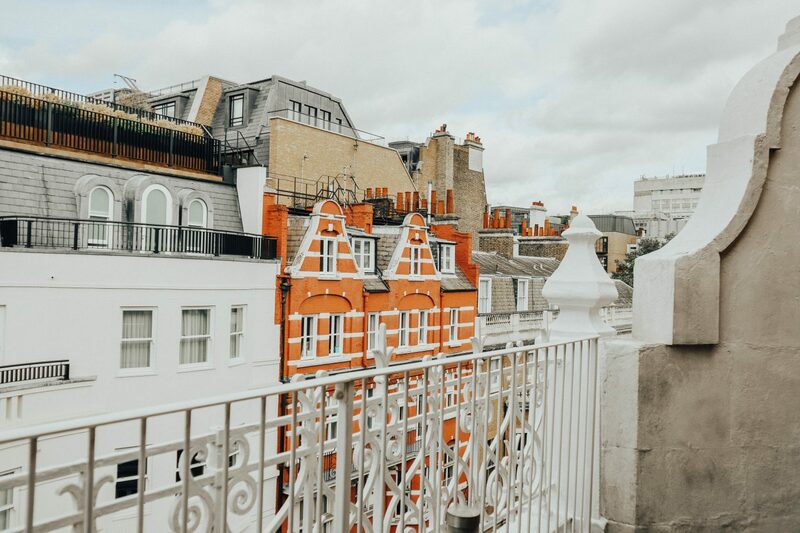 In addition, we had an amazing balcony, where we used to have a cup of coffee in the morning enjoying the view of the surrounding beautiful Mayfair houses. St James´s Hotel is the perfect hotel for you if you are looking for excellent location, great service and quiet ambience! 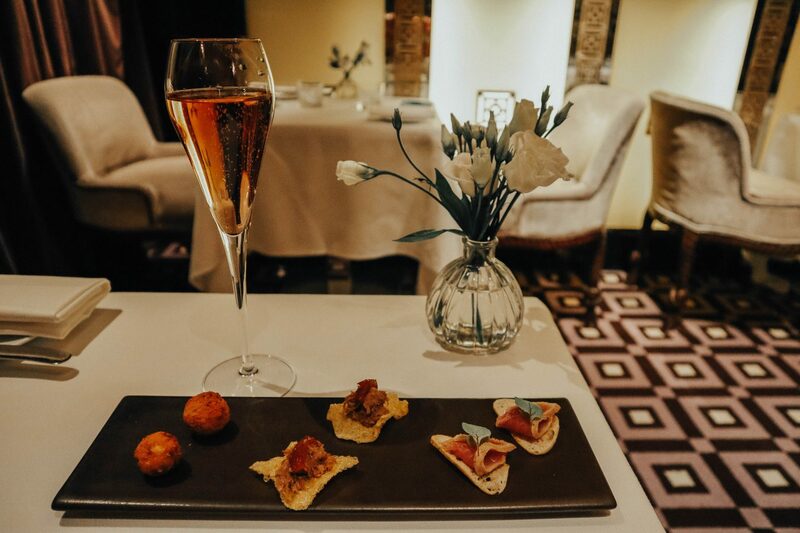 To make it even better, the hotel has one of the best Michelin star restaurants in London – Seven Park Place by William Drabble! 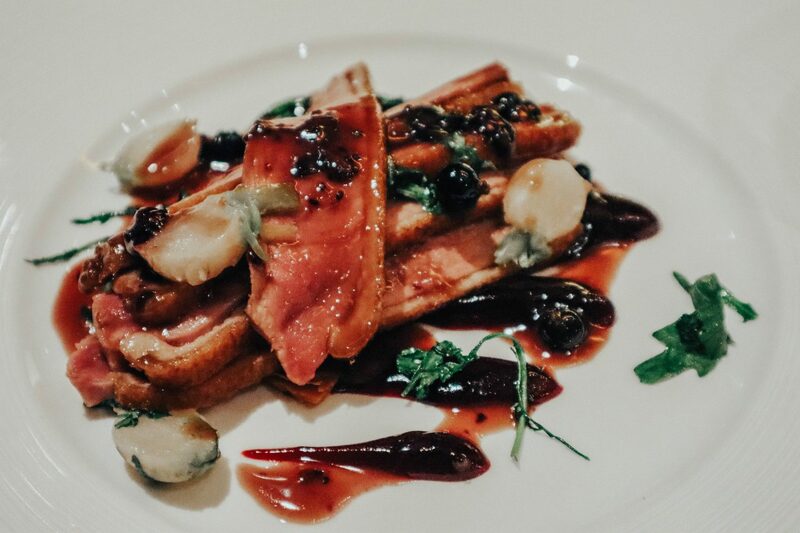 The restaurant was launched in 2009 and a year later William Drabble was awarded a Michelin star, as well as four AA Rosettes, for his excellence! 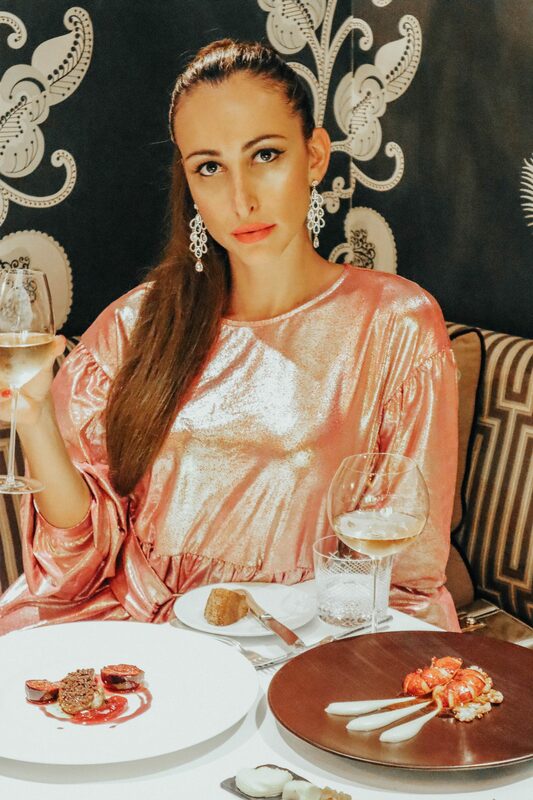 The restaurant decor has rich colours and natural fabrics in bright, jewel inspired colours, to produce a stunning backdrop for the perfect dining experience. In addition, it only has 9 table which makes your experience even more special and intimate! 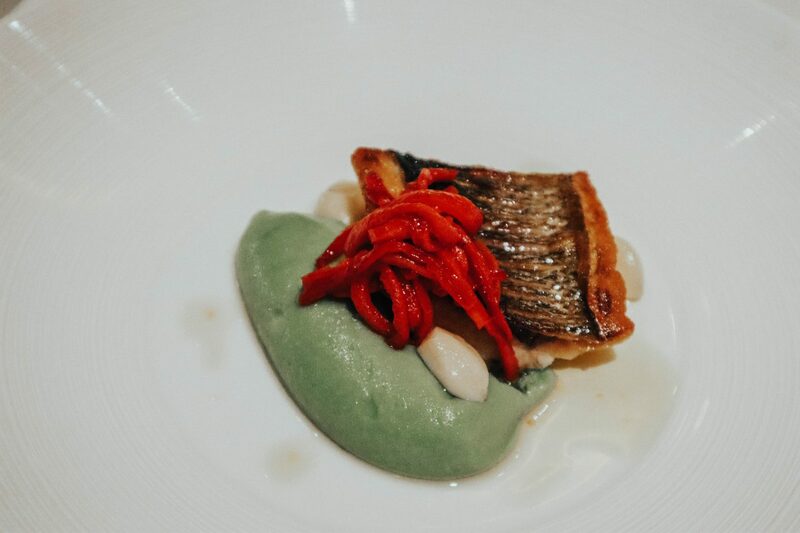 You can see pictures of our dishes from the dinner we had at Seven Park Place. We had a 3-course menu, starting with Poached Native Lobster Tail and Assiette of Foie gras. 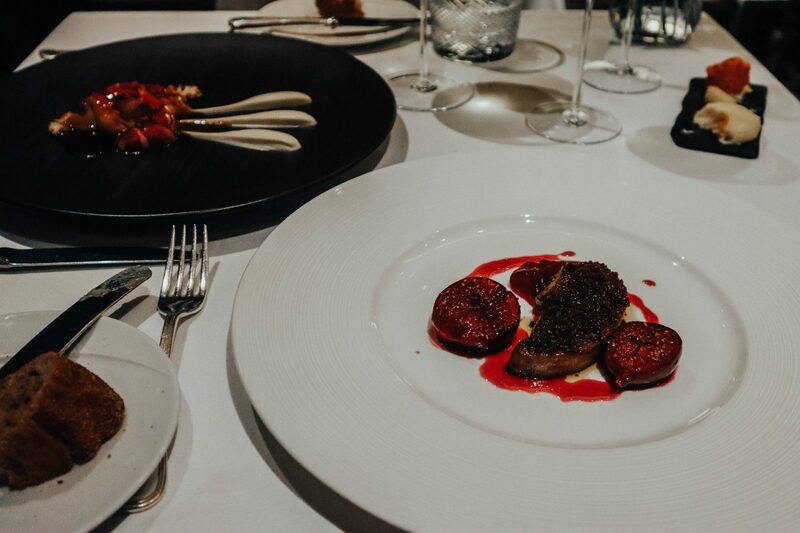 For our main dishes, we had Breast of Duck and Roasted Fillet of Wild Turbot. 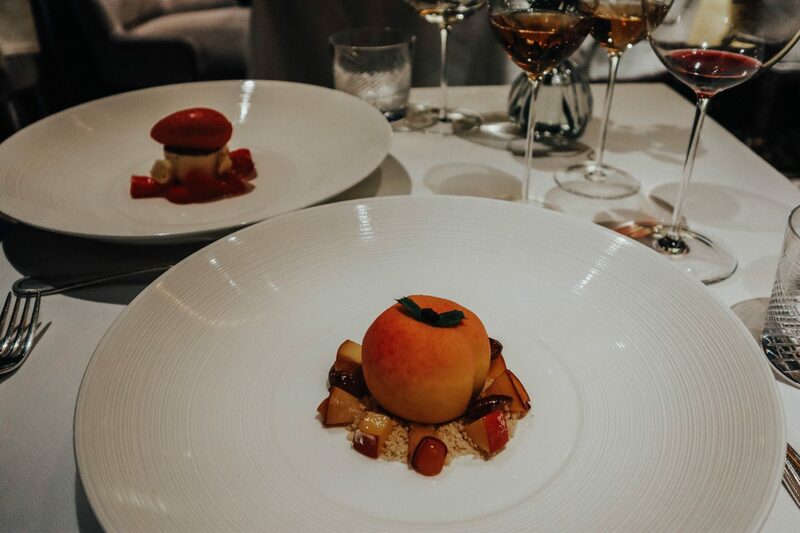 For dessert, we tried the Lancashire Yogurt Mousse with Peaches and Almonds (which was my absolute fav part of the dinner, I am always a dessert lover) and the Mango and Raspberries sorbet! 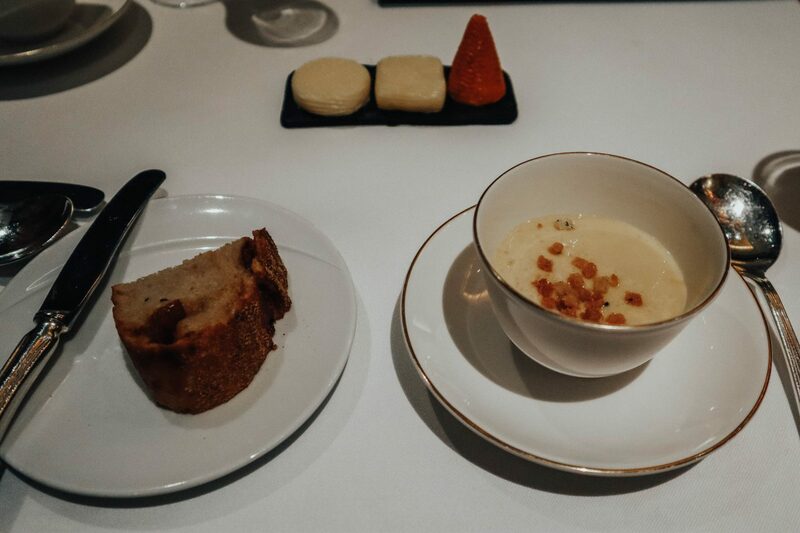 Both our dinner at Seven Park Place & our stay at the St James´s Hotel & Club were absolutely exceptional and I would certainly stay there again when visiting London! 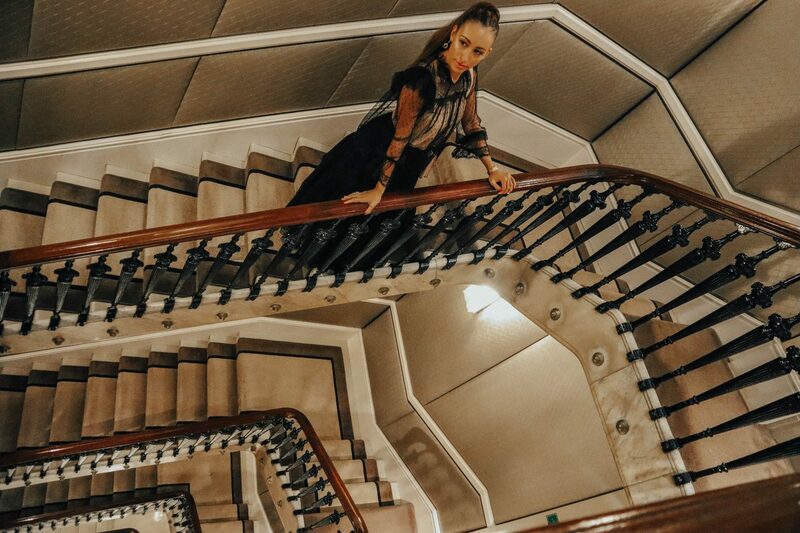 This hotel looks incredible, and the food is amazing!